University Park Elementary School was the fourth school added to the Highland Park ISD school system. It was built from the same set of plans developed for Bradfield Elementary by architects Otto H. Lang and Frank Witchell, and the construction was also done by Rogers and O'Rourke for a cost of $125,000. Included in the cornerstone were foreign coins, an American coin, copies of Dallas newspapers, and a Bible. University Park formally opened its doors in September 1928, with six teachers and 165 students transferred from Armstrong Elementary. Many of the pupils were children of SMU professors. Popular Joe P. Harris, a fun-loving man who sang at assemblies and whistled in the halls, was the first principal who also taught history classes. Many children rode their bicycles to school, but one boy rode his pony and hitched it to a post in front of the building. During the Depression, students at University Park began the tradition of raising money and gifts for needy families. They gathered clothing, arranged for food baskets, and provided Christmas gifts and trees. The PTA was formed in 1931. The east wing was added to the original building in 1932, and the west wing in 1938. Although an east wing had been added in 1933 and a west wing in 1939, overcrowding forced University Park to provide double sessions for the thousand plus students enrolled. Classes were conducted in the halls of the upstairs wings with temporary partitions as walls. These measures were necessary to keep up with the rapidly developing area until Hyer Elementary opened in 1949. In 2002, all students began registering online and kindergarten became a full day program. 1952-53. The Dads' Club was formed the following year. The cafeteria was enlarged in 1954, with a new kitchen completed in 1956. In 1966, kindergarten was added to the grade levels at UP. The building was air-conditioned in 1970, the same year that the sixth grade was moved to the junior high. Major landscaping work took place in 1981 and 1982. In 1988, University Park was cited by the United States Department of Education for excellence in elementary education, and it has also received national recognition for excellence in the area of character development. The panther was selected as the school mascot by students the following year. During the summer of 1988, the kindergarten complex was enlarged. 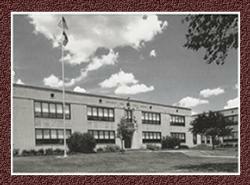 In 1992, a bond issue was passed to provide for renovation of existing campuses in HPISD. During 1993, a new gym was built at UP and existing gyms were restructured into classrooms, a media center and a computer room. A technological network, elevator and upstairs restrooms were added. During the summer of 1994, an outdoor learning center was constructed in conjunction with the landscaping planted around the new gym. In 1995, the garden was dedicated in loving memory of first-grade teacher Mary Goodloe. Also in 1995, the 5th graders were transferred to the newly opened McCulloch Intermediate School. Spanish joined the "specials" rotation in 1996 thanks to the PTA and Highland Park Educational Foundation. In 1997, the west playground was collaboratively designed by faculty and parents followed by the east playground in 1999. Thanks in large part to parent fund-raising, the school operates two computer labs for grades K-4 and is able to upgrade instructional technology on an ongoing basis. In 1999, communications between parents and the school were enhanced with the introduction of a computerized phone notification system. In 2001, U.P. Elementary received special recognition from the Commissioner of Education, Jim Nelson, for being one of eight schools in Texas to receive an "Exemplary" rating for the nine years of the rating system's existence. The school was also beautified by landscaping near the kindergarten playground and the school began communication to families via email. The 2002-2003 school year brought with it full-day kindergarten classes. The 2003-2004 school year marked the 75th Birthday of UP! “75 Years of Celebrating U” was the theme for the year. There were many reasons to celebrate throughout the year. A very successful Parent’s Auction Party was just one. The Auction, held each fall and sponsored by the PTA, was a “75th Diamond Gala” in honor of UP’s birthday. The event raised $185,000 for the school-an all time high! The carnival (the school’s spring fundraiser) was also a huge success! “Get UP and Boogie” was the theme, and all those attending did just that, proving that UP does indeed “ROCK!” The PTA used the funds raised to re-carpet the entire building. In addition, almost every classroom received new furnishings and a scheduled rotation for computers was begun. Dr. Lynda Carter from Round Rock was the new principal. Each classroom now had 6 desktop PC’s. D’Ann White Moxley was chosen Barbie Arts Teacher of the Year and received a cash award of $5,000.00 which was used to purchase glass display cases for student art products. A Literacy Library, with leveled, high-quality children’s literature to support reading instruction was opened. Year-end Promotion Exercises were added for fourth graders, which were held in the newly renovated Panther Auditorium. In 2004-2005, student commended performance on the Texas Assessment of Academic Skills was up markedly propelling UP back to the Texas Business Education Coalition (TBEC) Honor Roll School’s List, placing UP students in the top 2% of Texas Schools. Dr. Lynda Carter, UP Principal, was president of the 5,500 member Texas Elementary Principals and Supervisors Association (TEPSA). Pumpkin Day, a UP tradition since 1970, had grown so much it had to be moved outside. Children were treated to a Gallery Walk of pumpkins lining the front of the school and listened to stories read by costumed parents and their principal, who served as story-tellers. Casey Yowell’s, 4th grade art was selected to grace the cover of Texas Rising Star Magazine. University Park chartered a Student Council, “Leaders ‘R Us”, to give students a voice in their school. Students became more directly involved in service projects in the school and community. Student council sponsors for the charter group were Jennifer Nienhueser and Lauri McKay. Officer elections were held and officers selected by the third and fourth graders of the school. Students campaigning for office had to write and give a 3 minute speech in front of their peers. Officers elected were: President: Hudson Dozier, Vice President: Will Read, Secretary: Hope Cory, and Treasurer: Chandler Myers. UP hosted the Regional Student Council Workshop which was attended by many Metroplex schools. New murals were painted in the Kindergarten Centers area by art teacher Jennifer Swayze. The City of University Park began a Lovers Lane project to put utilities underground and widen the street. Mr. Walt Human used Panther Auditorium to hold meetings with neighborhood residents. Teachers in Kindergarten, First and Second grade were using Palms: hand-held personal digital assistants to assess their students in reading. The Lovers Lane project came to an end. A state-of-the-art “Smart Walk” was installed across from the front entrance to the school to ensure the safety of pedestrians crossing to the other side. Dr. Carter was asked to join city engineers in leaving handprints to sign-off on the work. The cooperation and leadership of the campus CLC working with the City of University Park resulted in an early finish and a savings of several hundred thousand dollars. The year 2005-2006 PTA’s organizing theme for their collective work was “The Greatest School On Earth!” The scheduled replacement of technologies on the campus evolved from PC’s with 512K memory and big tube monitors to sleek flat screens with 1 gig of memory. A private gift enabled the school to go “Wi-Fi” (wireless)! Technologies were being integrated into daily instruction in the classroom. UP piloted United Streaming, a web-based curriculum resource which was later available on the district launcher. Discussions were underway in the Technology Committee about a new idea brought by Dr. Carter: Classrooms of the Future. This technology redesign concept included outfitting each classroom with a multi-media productivity center for each teacher which included a Promethean Interactive Board, Wire-less Dell Laptop, a document camera, data projector, and sound system. UP’s Dad’s Club funded KPAW News and Commentary and constructed a studio for student-led broadcasting live each morning over an in-house cable system complete with stage lights and a KPAW News Desk—Channel 33 was a reality. The Dad’s Club President Tommy Summers, rolled out the first week of broadcasts in costume and thrilled the students. Fourth graders were now making news and history at UP. University Park students once again made the TBEC Honor Roll 2005. PTA President Karen Keith, President-elect Ann Pittman, Dr. Carter and UP teachers traveled to Austin to a banquet in their honor to receive UP’s Banner. In addition, the UP staff was invited by the State of Texas to submit an application for U.S. Department of Education’s No Child Left Behind(NCLB) Blue Ribbon School designation. The gym environment was revitalized with a Panther Mural painted by Jennifer Swayze-UP art teacher, graphics of active kids, and a Traverse Climbing Wall. The Third Grade class was invited to travel with music teacher Jan Baker to San Antonio to perform their musical “Snow Day” for the annual Texas Music Educators Association! In 2006-2007, students returned to school to tune in daily student-led broadcasts at 8:15 on KPAW Channel 33 led by fourth graders under the guidance of Technology Integration Specialist, Scott Jacobsen. Mr. Jacobsen was known by the children as "the Big Cheese" of KPAW! Kindergarten, First, Fourth Grade, and Ms. Baker’s Music classrooms all enjoyed having the new Classroom of the Future bundle. Plans were underway for Phase II, which would place the COF bundle in Second and Third Grade classrooms as well as special program areas. Technology spending by the PTA had increased to $150,000.00 annually. Teachers received training in the use of the new technologies and the children, UP’s “digital natives,” were drawn to the technology by experiencing engaging lessons incorporating technologies and traveling on Google Earth around the planet. Mrs. Leavell’s first grade students one day proclaimed to visiting HPISD Board Member Walker Bateman, that in their study of penguins they had already been to Antarctica that morning. Then, in an instant they took him there, too! Traveling from the roof of UP to Antarctica in just a moment—who would ever believe it? The PTA theme for the year was “You Raise Me UP, To Be All I Can Be!” An outdoor eating and multi-use area was added to the campus built by Lawns of Dallas and funded by the PTA to encourage parents to join their children for lunch. A memorial tree—dedicated to the memory of Ann Kathryn Kerwin, former UP first grader—became the focal point of the beautified area. The Dad’s Club, led by President Jeff Berry, added a cover for the eating area as one part of UP Dad’s annual projects for the school. The other was the placement of flat screen TV Monitors in the entrance and hallways for communicating school-wide events and visitor and guest viewing of KPAW. The UP Carnival, “Living It UP In Panther Paradise” raised a record $90,000.00 to support the PTA initiatives designed to improve the school. In October 2006, the University Park Community received word from the U.S. Department of Education that they were designated a NCLB, National Blue Ribbon School for 2006. UP teachers Becky O’Donnell and Kara Moreland traveled with UP Principal Dr. Lynda Carter to Washington, D.C. to receive the award. They took “Flat Panther” on the trip and e-mailed digital photos of the ceremonies and sites visited to the students daily, which were posted to the UP Home Page for viewing. The trip included a visit and tour of the White House and Nation’s Capitol. A Blue Ribbon celebration was held on the campus. State Representative Dan Branch, U.S. Congressman Pete Sessions, UP Mayor Blackie Holmes, and Councilman Syd Carter were among the dignitaries and well wishers at the event. Banners lined the walk-way and Blue Ribbons adorned the building. Twenty feet on each side of the front entrance was freshly landscaped with crepe myrtles, fringe-flower, and colorful annuals. Once again, University Park celebrated their designation as a TBEC Honor Roll School 2006 and in addition received Gold Performance Acknowledgements in Reading, Writing, Math and Attendance. The school year 2007-2008 is still in progress. As it has throughout UP’s history, the parent/school partnership remains the strength of the school. In this achievement-oriented community, ensuring the success of each child remains a top priority. The PTA theme for the year, “Partner UP for a Bright Future,” says it all. Students returning from summer were greeted by a cafeteria “re-do” complete with Panther signs and cool UP Panther banners. It looks like the dining room at Hogwarts. Each elementary campus in HPISD was allocated a full-time science lab specialist to enhance science learning K-4. Charlie Kenyon, former UP student, became the lead teacher in the Physical Education program. Mr. Kenyon was also selected UP Teacher of the Year by his peers for 2008-2009. New for 2008, State of Texas Legislature passed a requirement for all third and fourth graders to participate in a Fitnessgram Evaluation. Jan Baker, “Music Teacher Extraordinaire”, presented a brand new production for the annual Third Grade Musical titled, “Birds of a Feather”! It was a “flapping” big hit! A PPCD (Pre-School Program for Children with Disabilities) classroom was added to the campus. The successful Parent Auction Party, “An Affair to Remember” was held at the new Palomar Hotel and broke a record in funds raised for the school. This is the first year that the Parent Auction Party along with UP’s Carnival went “online”! UP was again designated a Texas Business Education Coalition (TBEC) Honor Roll School for 2007. PTA President Missy Rothwell, President-Elect Michelle Cox, Dr. Carter, Joy Rumsey and Leigh Johnson traveled to Austin to receive the award. UP has been a Texas Education Agency Exemplary School for 14 years. The Classroom of the Future bundle was added to TAG, Special Education Resource, and Science. TIS Scott Jacobsen rolled out a new UP Home Page with a logo designed by a parent, Michael Cory. All teachers have their own newsy Web Page on the UP Web site. Teachers are podcasting, vodcasting, blogging, scrap-blogging, and making movies using Photo Story and other creative tools with their students. Students in fourth grade easily create power points and flip charts to share their research and learning. UP’s Student Council worked hard this year to raise funds for Unicef, North Texas Food Bank, Children’s Medical, and Ryan’s Run! UP’s Dad’s Club took first place in the inaugural year of the Park Cities Dad’s Club Teachers Challenge tournament, winning an awesome trophy, $5000 for the school and bragging rights. Golfers were Matt Bush, Erik Bahr, Todd Wagner and David Williams. The Dad’s Club used their $5000 winnings to purchase new bleachers for UP’s field. The fall of 2008 brought new excitement to the school which was captured in the theme, "Step UP to the Future!" After supporting the passage of a successful HPISD Bond, the construction of eight new classrooms and interior renovations to the building including a new cafeteria and kitchen was begun with an opening date of the fall of 2010 set. To the delight of everyone, the portables on the front lawn would finally be gone! Michelle Cox was PTA President, Erik Bahr was Dad's Club President and Kelly Hosch led the UPPA! These incredible partner organizations to our school would not let their spirits be diminished by even a global meltdown. They mobilized parents to give their energies, and gifts of time and service to accomplish the goals and mission of the school. UP is the truly the best place to be! The phased implementation of Classroom of the Future Technologies was complete with all classrooms equipped with state of the art technologies. Students were blogging, scrap blogging, vodcasting, podcasting, making flip charts, and using flip videos to increase their learning, share information and investigate the world beyond the classroom. The UP Student Council hosted their 5th Regional Student Council Conference, "Leaders "R Us" in cooperation with TEPSA. More than 220 students packed Panther Gym for the event. The UPPA supported the "Digital Library Redesign" proposed by UP Librarian Jennifer Hampton complete with a Promethean Board artfully installed on a big green wall with cherished lines from children's literature. The Dad's Club gifted a really cool Sound System making the gym #1 on the top ten list of "must sees" on a visit to UP. The UP Students and staff once again earned the 2008 TBEC Honor Roll Distinction along with Just 4 The Kids, Texas Higher Performing School Award. Lynn Terman was elected the 2009-2010 Teacher of the Year.